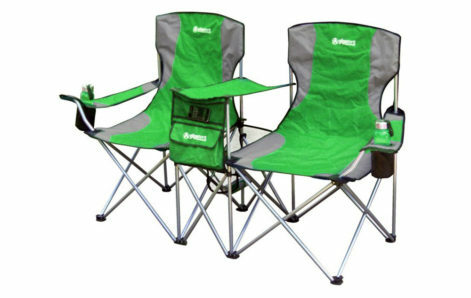 This chair features a powder-coated steel frame, 600D padded polyester fabric, armrests with beverage holders. Features also include a front side mesh pocket and heavy duty storage pocket. This chair holds a total of 500 pounds and includes a convenient heavy duty shoulder carrying bag.